When March came around this year, I realized that I know a lot of people celebrating their birthdays that month. So, since I finally have a Wacom tablet that works properly, I decided to do birthday illos for some of them! 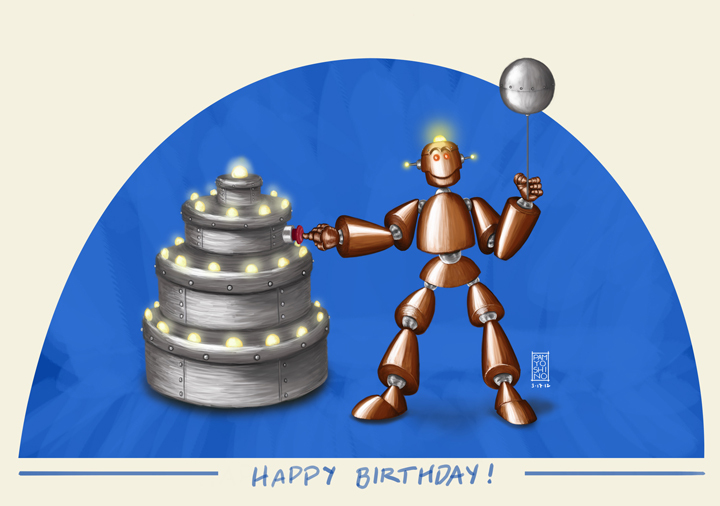 I have been catching myself doodling a lot of robots lately, so I did this illo of a robot lighting up a birthday cake for a good friend of mine. This illo was for one of my guy friends. I wanted to do something a little cheeky, so I got the idea of a pole dancer swinging around an extraordinarily large cupcake candle. This illo comprises the perfect guy for another good friend of mine. 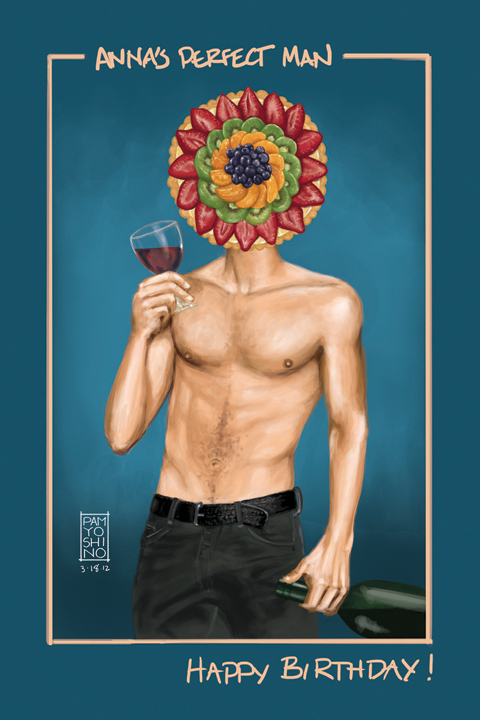 She loves the fruit tarts they sell at Vons grocery stores, loves wine (especially reds) and loves very thin, yet semi-muscular guys! So, I put them all together for her! She can pull a Praying Mantis with this guy! I had a lot of fun creating these illos for my friends and am really enjoying the Wacom tablet! I hope my friends enjoyed these kind of bizarre images, but I think they expect that from me at this point.